Part of the reason why Dr. Goosey is one of America’s top LASIK surgeons, is because he takes time to ensure that every patient is well-informed, comfortable, and cared for in a consistent and professional manner. Dr. Goosey ensures that he sees all his LASIK patients before, during, and after LASIK surgery. 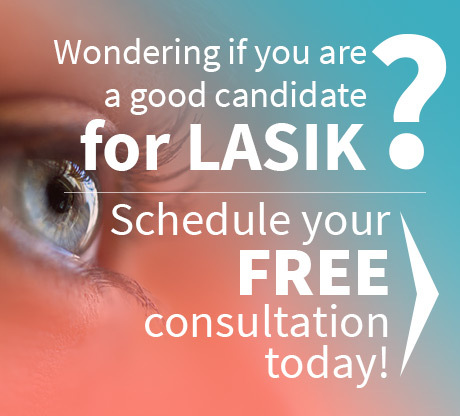 The information below will help prepare you for what to expect after your LASIK surgery procedure; as well as how to care for your eyes during the healing process, and obtain positive results. The beauty of LASIK surgery, in conjunction with the innovative and advanced laser technology that Dr. Goosey uses, is that the procedure is highly effective, recovery is shortened, and complications are extremely rare. As with any outpatient surgical procedure, we rely on our patients to be active participants in managing their recovery. Since you, and/or your family member, will be providing your care, it is very important to read all the information provided to you, ask questions, and follow all the instructions after discharge. 1. After about 30 minutes, the anesthetic drops used in the laser procedure will begin to wear off and some discomfort may begin. The patient may feel a stinging or have watering of the eyes for the first two hours immediately following the LASIK surgery procedure. LOTEMAX – 4 times daily for 7 days and then 2 times per Day for 7 more days then discontinue. SYSTANE (or any comparable lubricant) – as needed for lubrication for 4-6 weeks. It is rarely necessary to take medication for these symptoms, but should it be needed, Tylenol, Advil or any non-aspirin analgesic can be taken. Wrap-around sunglasses are helpful in soothing discomfort and shielding your eyes in bright lights. 4. You Must Be Seen by Dr. Goosey the Day After Your Surgery. This Is Mandatory! There will be 2 additional follow-up appointments with Dr. Goosey; however, they will be scheduled after your 1st follow-up which is the day after LASIK surgery. You may shower and take a tub bath, but avoid getting anything in the operated eye. Rest and sleep are your best friends the first day or two. Wear your eye shield for the first day and night, and then only while you sleep for the next 5 days. Avoid all water sports and activities (hot tubs, whirlpools, swimming, etc.) for 2 weeks post-operatively. Avoid scuba diving for 4 weeks. For additional questions or concerns, Contact Us online.